The term mamzer denotes someone who bears the stigma of having been born out of a forbidden relationship, as defined by Jewish religious law: this new opera by Na’ama Zisser, with its libretto by her sister Rachel and sister-in-law Samantha Newton, follows the trail of self-discovery by a young man named Yoel, whose mother’s first husband seemingly comes back from the dead. The story unfolds in the bosom of the Hasidic community – archetypal exiles – in Brooklyn; a synagogue with a real-life cantor forms its centre of gravity; Yoel’s development, from bar mitzvah to wedding, frames the action. 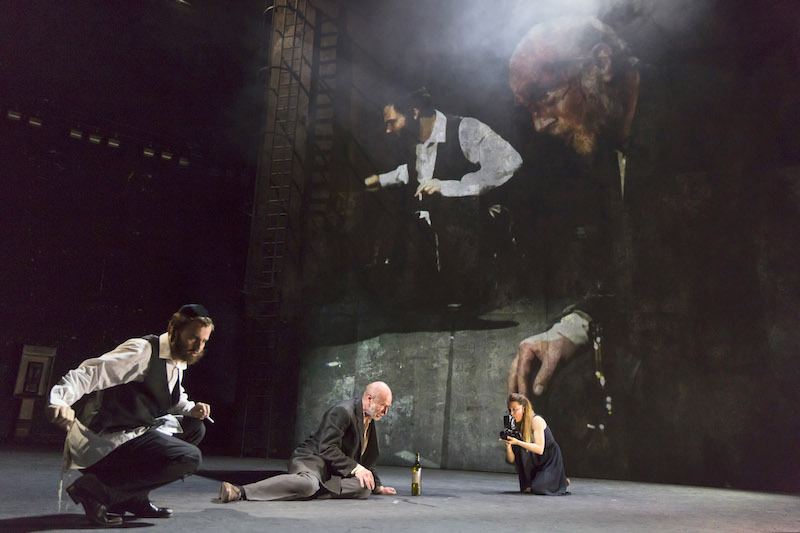 The production is a co-commission by the Royal Opera and the Guildhall School, where Zisser has spent three years as composer-in-residence; its premiere at the Hackney Empire, with a largely Jewish audience, represents a new kind of outreach. But there’s many a slip ‘twixt the cup and the lip, and the rogue element here is Jay Scheib’s direction. His stated aim was cinematic, with the jump-cuts of the libretto reflected in ‘the jagged edges of film noir’; he would use onstage cameras ‘like microphones, to amplify the visual aspect of the performance, and give voice to the quiet states of being that would otherwise go missed’. The way that high-flown waffle works out in practice is disastrous. It was obviously thought clever to have a woman shadowing the singers at all times with a video-camera, so that they could be simultaneously projected huge, but the long time-lag between reality and its image means that the two visual modes fight, and one doesn’t know where to look. At times we are also blinded by a flashlight in our faces. Meanwhile newsreel footage of urban disasters is projected, much too fast and blurry for us to tell where it is, and what it portrays. The reflex response is to shut one’s eyes. But then we concentrate on the sound. The melodic mode is standard-issue atonal modernism, with a chamber accompaniment strikingly lacking in character. The music becomes beautiful when the cantor sings out with ringing grace – then the score becomes briefly anchored in tonality, but for the rest of the time it’s a heavy slog. One can grasp the basic structure of the plot, but the pretentiously chaotic direction ensures that we never know precisely what is happening at any given moment. One can only admire the valiant efforts by the singers – Edward Hyde, Collin Shay, Steven Page, Netanel Hershtik, Robert Burt, and Gundula Hintz – to make dramatic sense out of all this. But there should have been some outside eye exercising quality-control, and eliminating this production’s egregious bêtises.